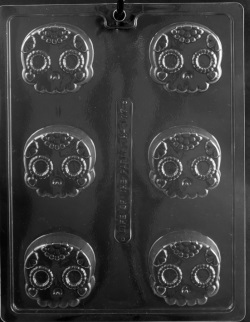 To use this mold with cookies fill the mold half full with melted coating chocolate. Push cookie into the chocolate until it is complely covered. Tap mold on counter to level chocolate. Place in freezer for 5-10 minutes to chill.